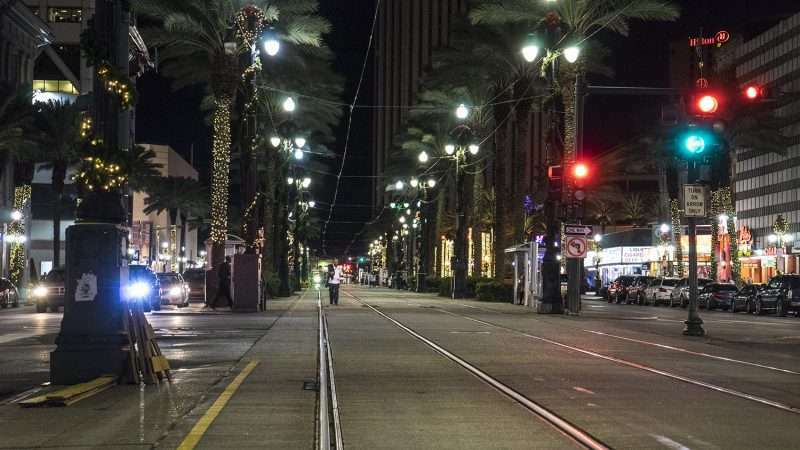 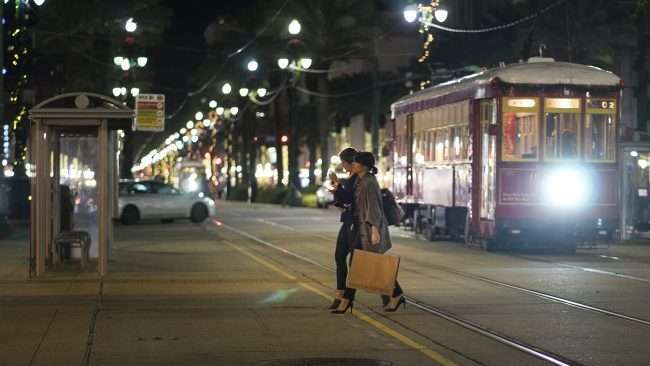 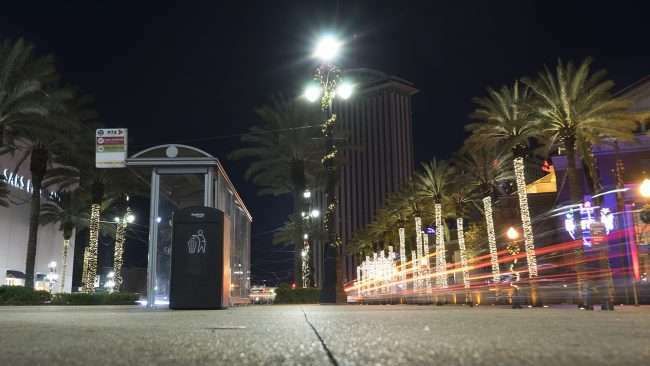 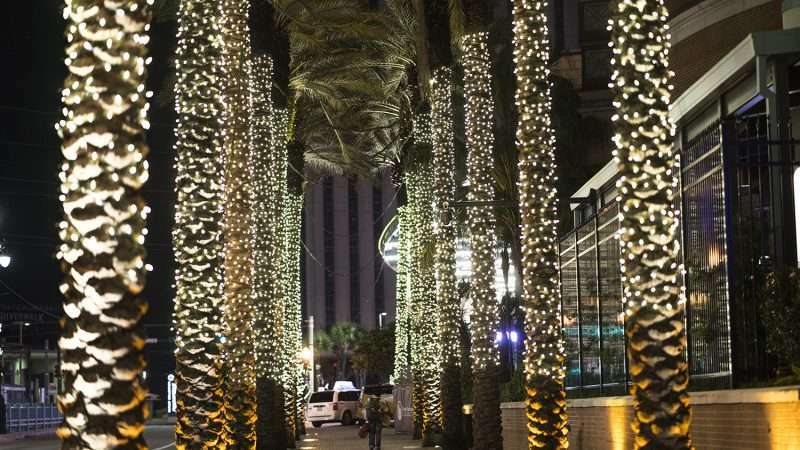 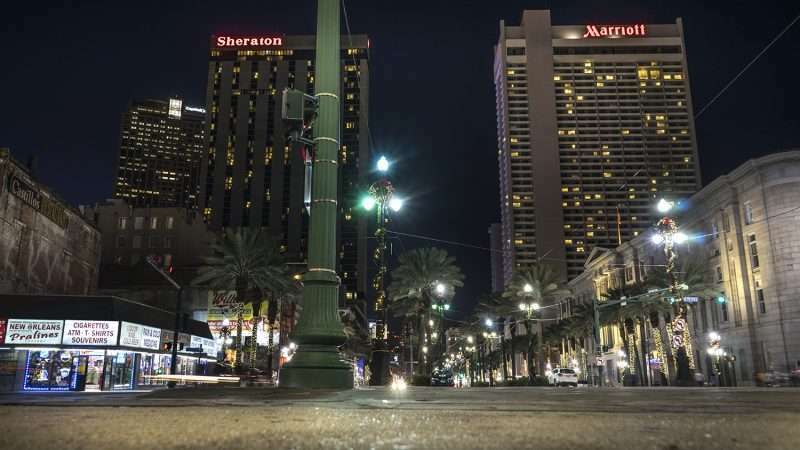 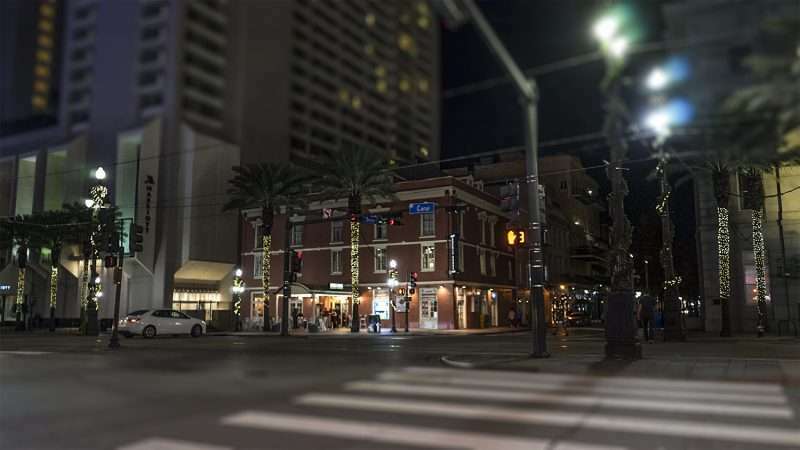 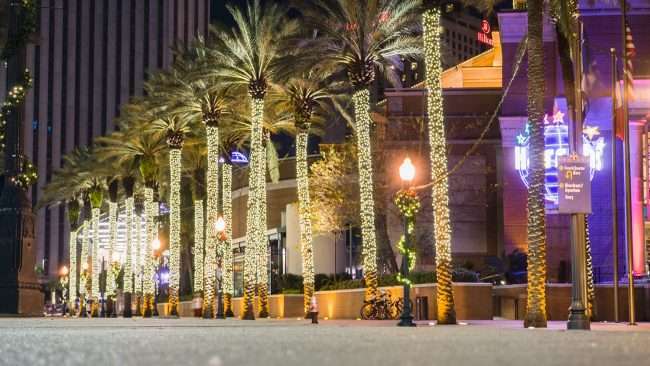 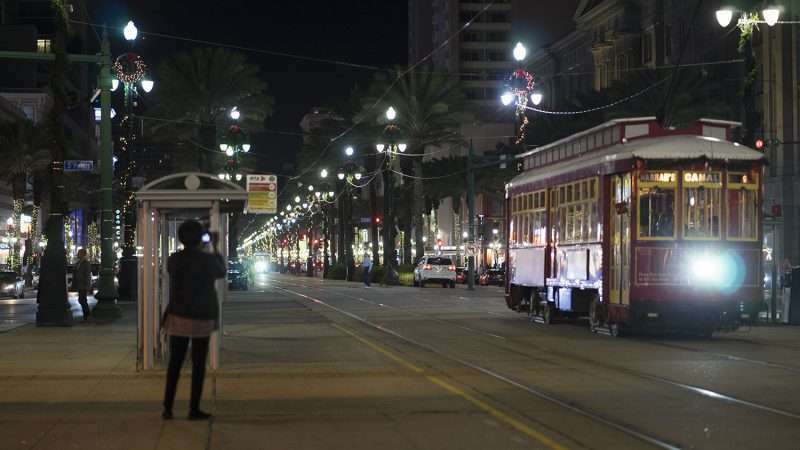 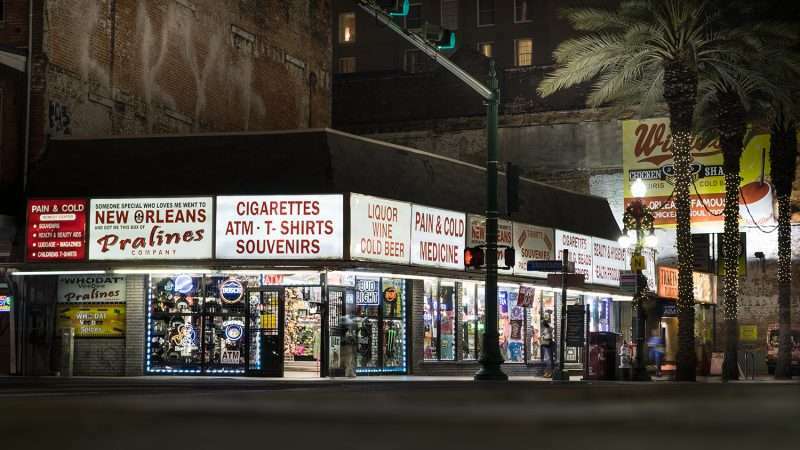 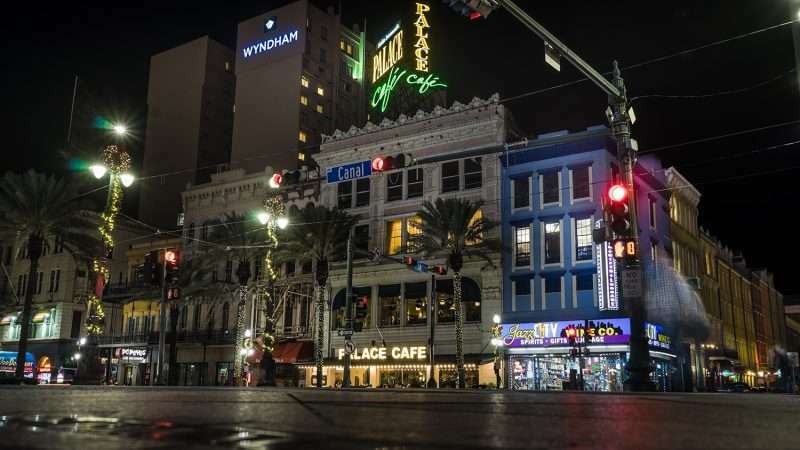 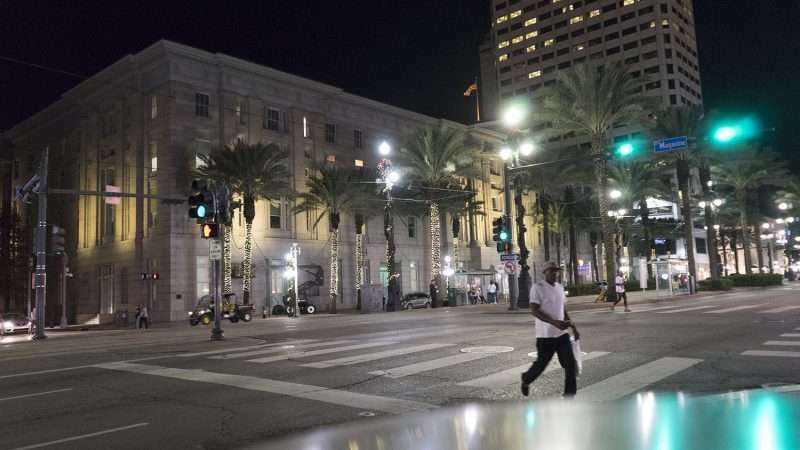 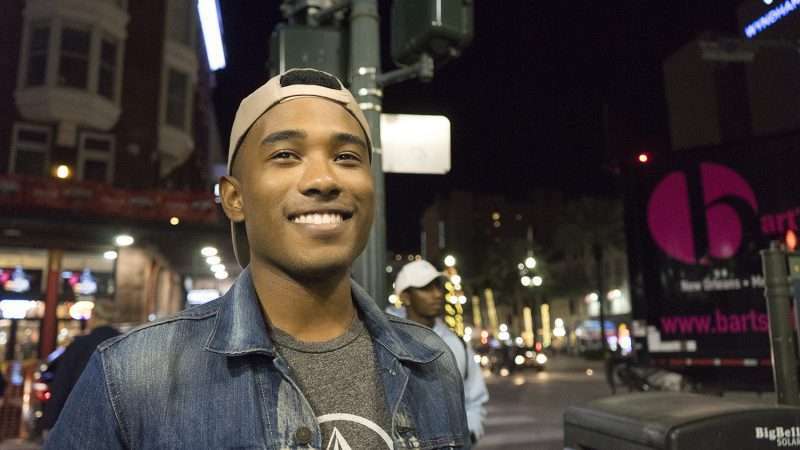 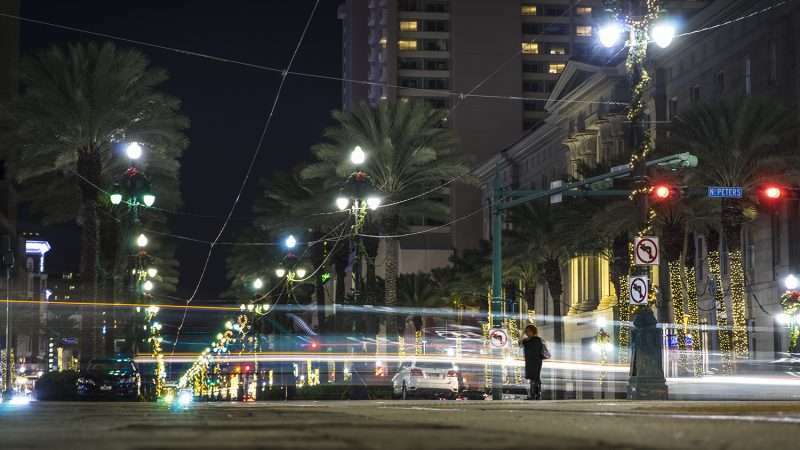 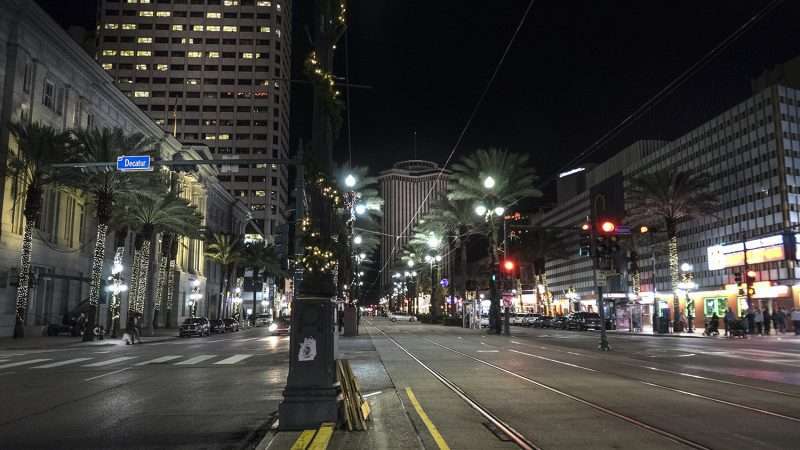 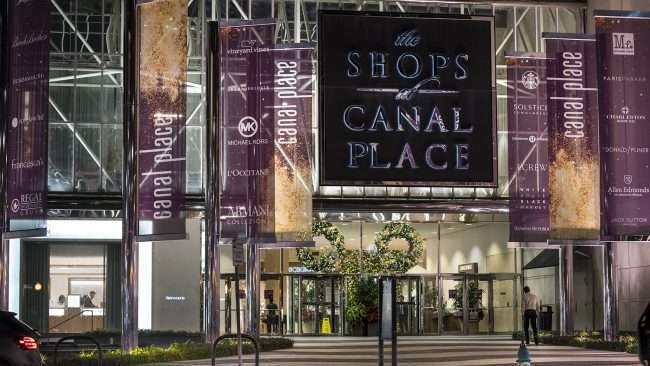 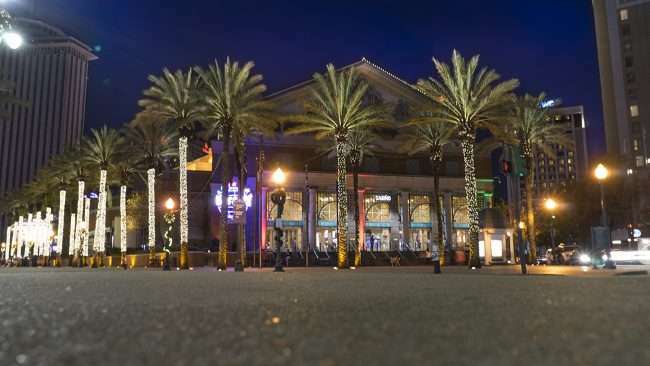 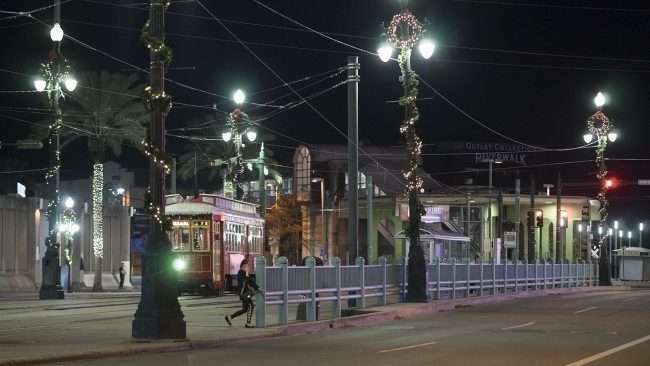 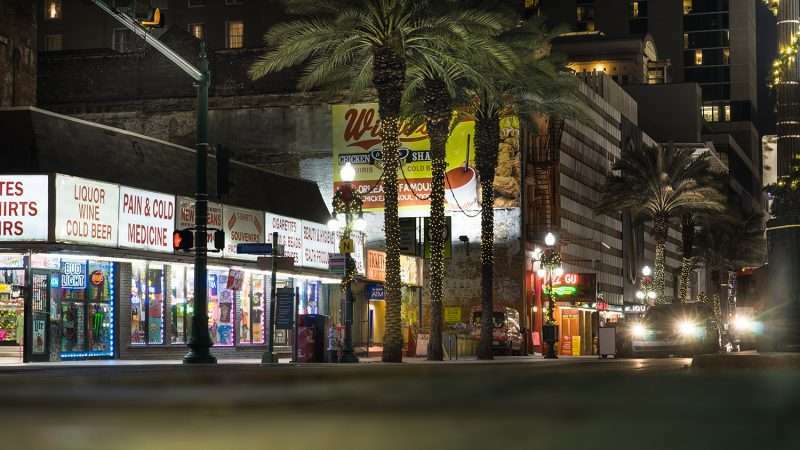 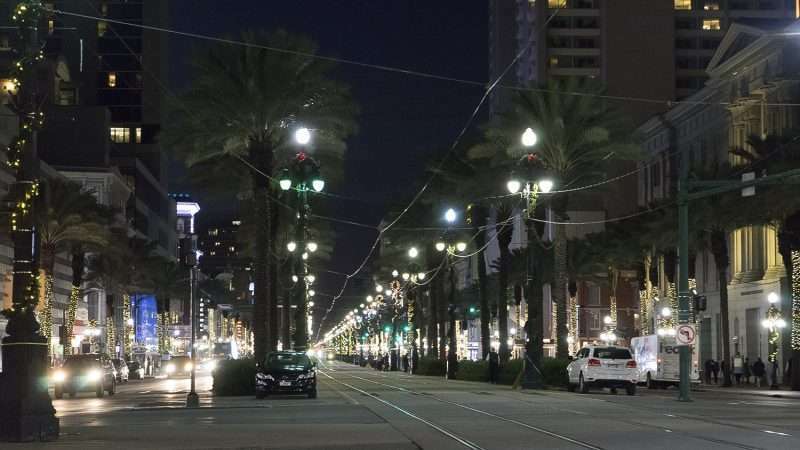 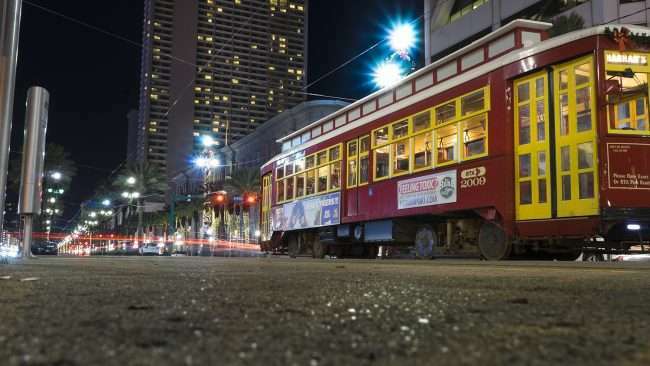 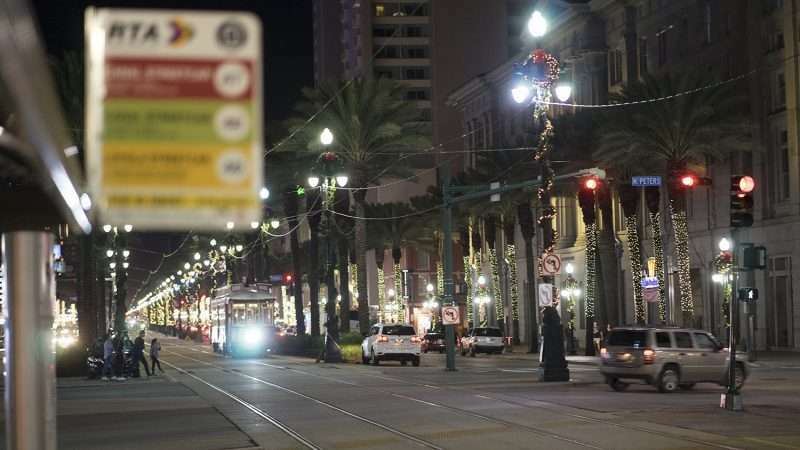 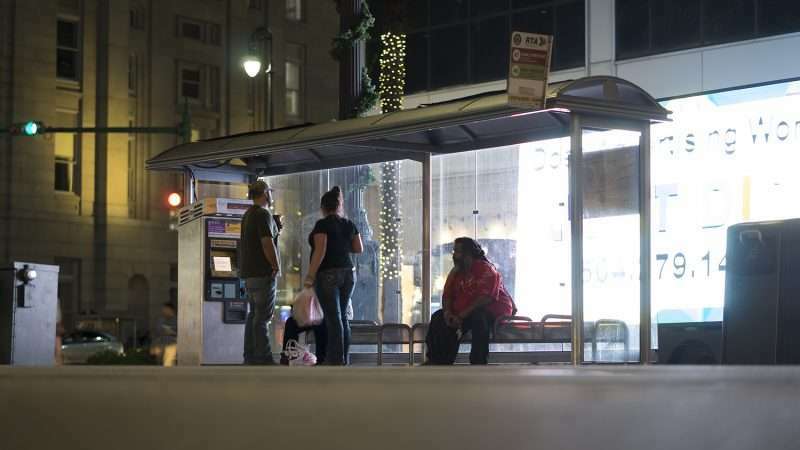 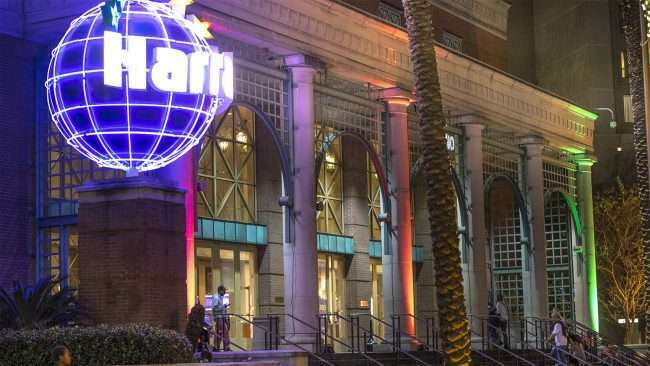 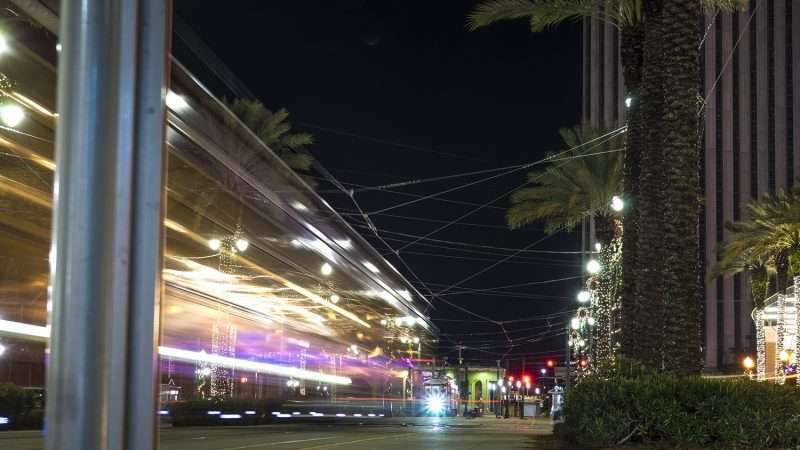 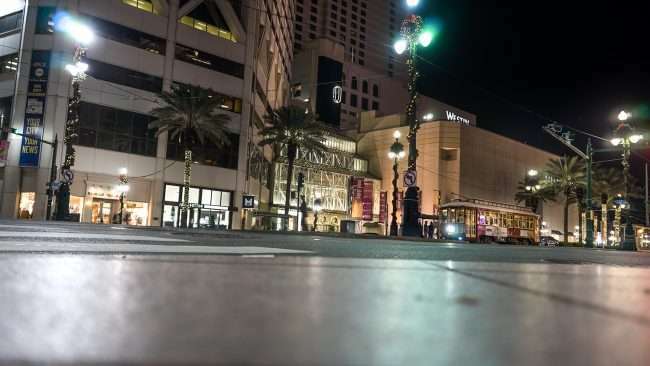 NEW ORLEANS, LA – Christmas lights wrapped around palm trees and light posts help brighten Canal Street even more during the holiday season in the the heart of downtown New Orleans. 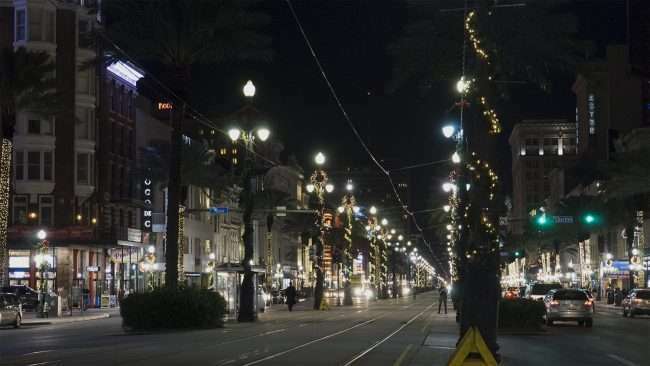 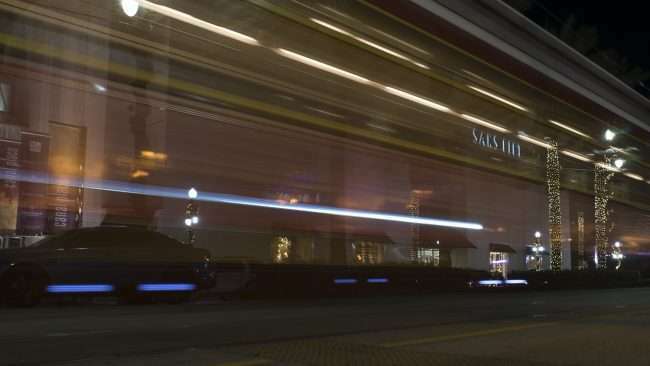 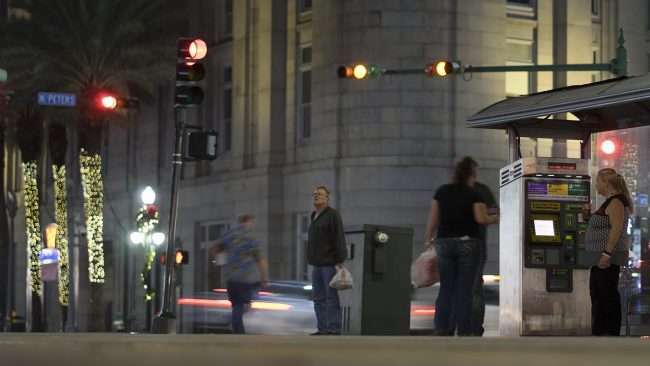 There are over 1 million lights that glow all night long on Canal Street that run from the Mississippi River to Elk Place. 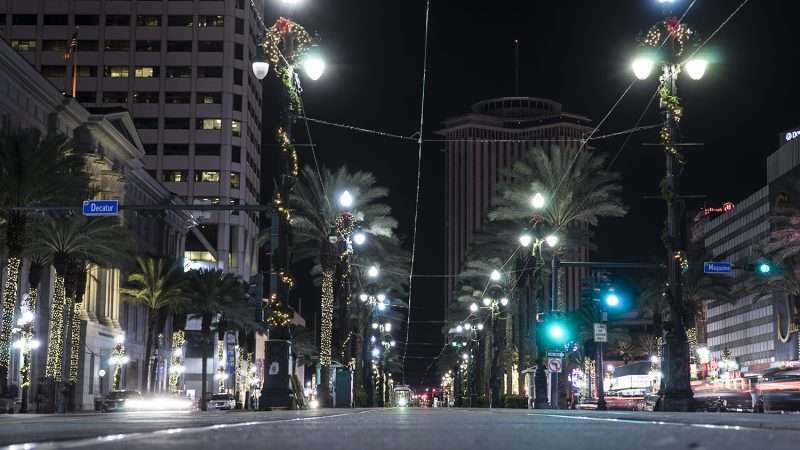 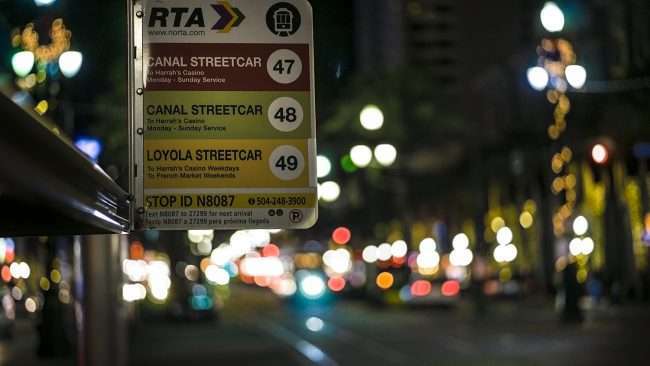 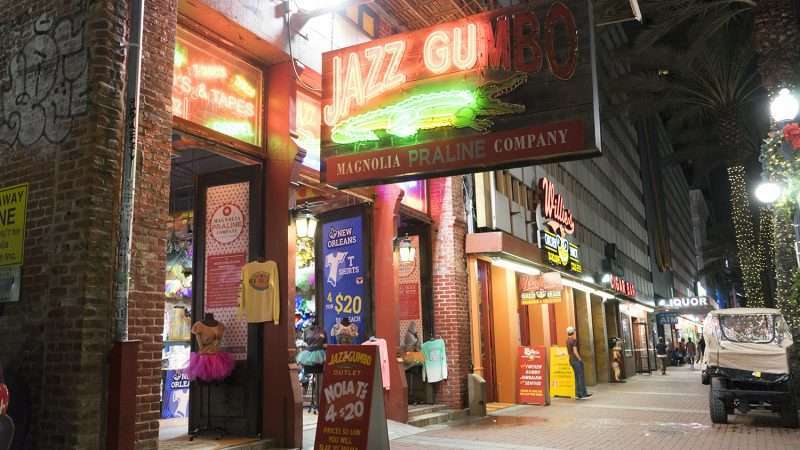 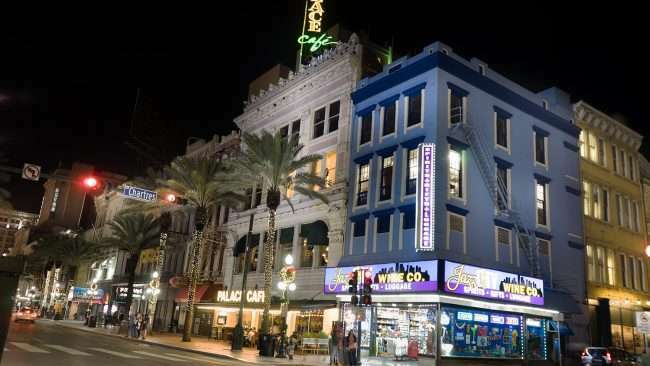 Canal Street is the widest street in downtown New Orleans. 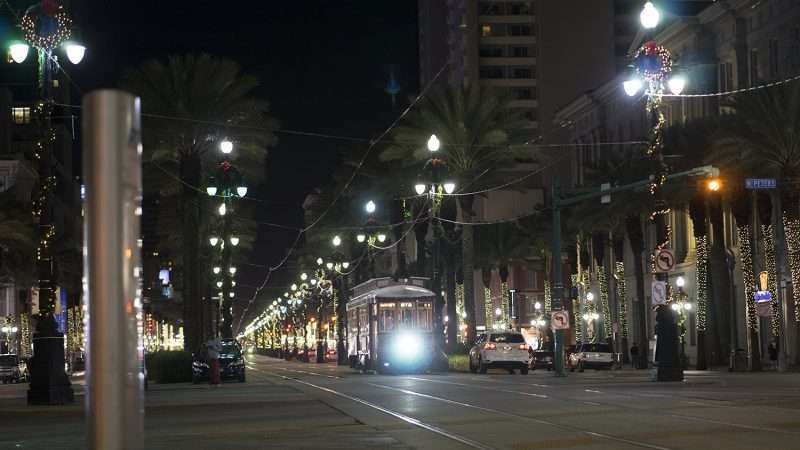 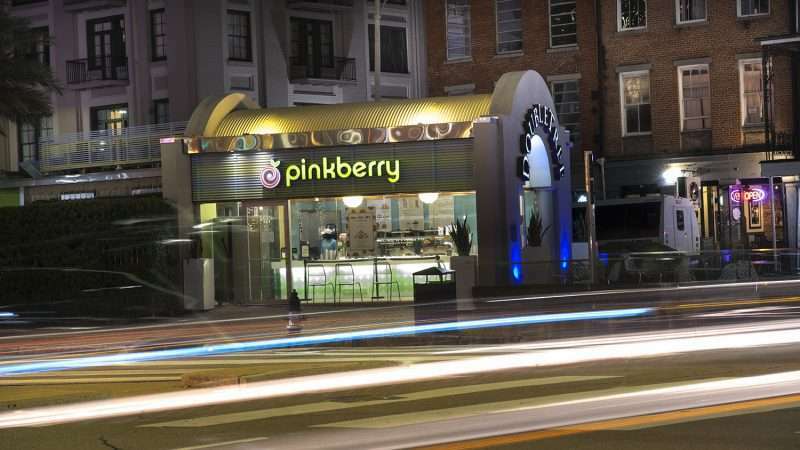 Its straight and runs the length of the city with streetcars running in the middle. 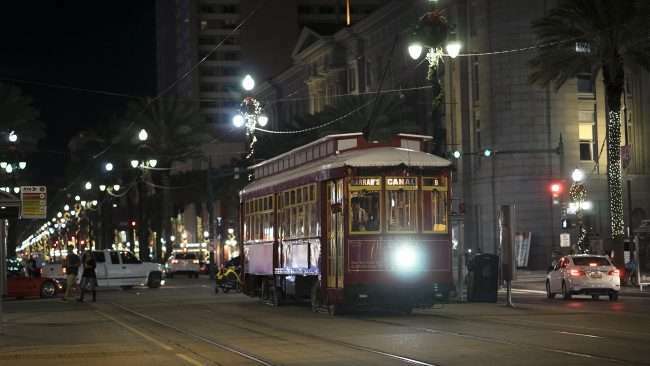 The streetcars are popular and used by 1000s of people daily to get around the city. 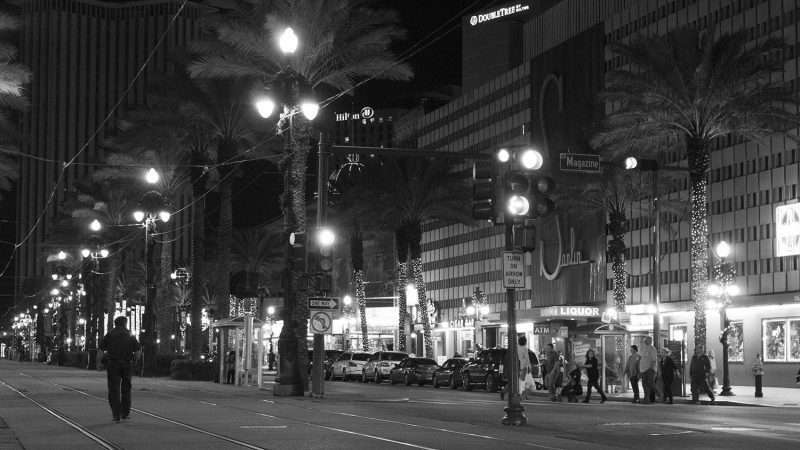 And William, it was wonderful meeting you briefly and talking camera-shop. It’s always exciting to meet other photographers on the streets of New Orleans. 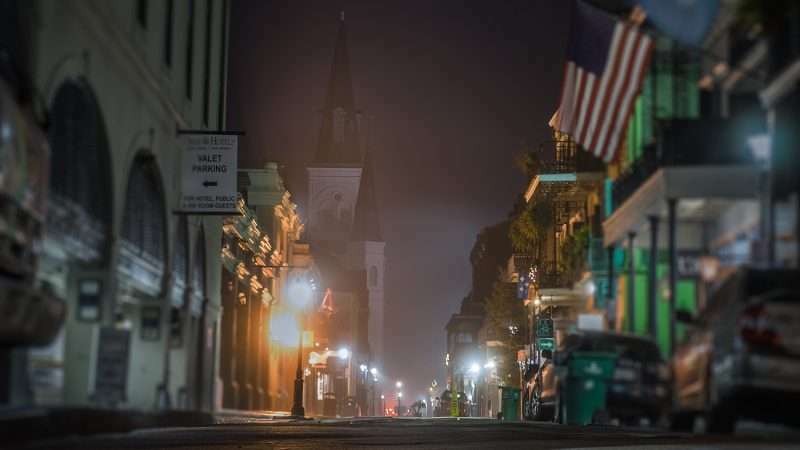 People come from all over the world to photograph this wonderful city. And like New York, it never sleeps.